The Yale Collection of American Literature has acquired the literary archive of poet, painter, and art critic Marjorie Welish. Welish is the author of several books of poetry, including The Annotated “Here” and Selected Poems, a finalist for the 2002 Academy of American Poets Lenore Marshall Prize. Her creative and critical work was recently the subject of a conference at the University of Pennsylvania; many of the papers delivered there have been collected in Of the Diagram: the Work of Marjorie Welish. She has taught at Brown University, The New School University, Pratt Institute, and she was the Judith E. Wilson Poetry Fellow at Cambridge University in 2005. The Marjorie Welish Papers include correspondence with Barbara Guest and Ann Lauterbach, whose papers are also at the Beinecke Library, as well as Michael Palmer, Carla Harryman, John Taggert, Maxine Chernoff, Rosmarie Waldrop, Barrett Watten, Mei-Mei Berssenbrugge, Tony Lopez, Gustaf Sobin, Charles Altieri, Marjorie Perloff, Robert Kelly, Trevor Winkfield, Norma Cole, Emmanuel Hocquard, Dominique Fourcade, Forrest Gander, and Rachel Blau DuPlessis, among many other writers and artists, curators, editors, art critics, and artists. The archive also includes poetry, literary criticism, and art criticism manuscripts; notebooks and source documents; printed materials including books, journals, and ephemera documenting art and literature events and happenings in New York City. This collection is open for research; a preliminary list of contents is available online at Marjorie Welish Papers. Contact nancy.kuhl@yale.edu for more information. The Beinecke Library has acquired a collection of more than 325 books and chapbooks of poetry by modern and contemporary Native American poets. This extensive collection includes the work of well established poets such as Joy Harjo and Simon Ortiz as well as work by less well known writers. The books come to the Beinecke from the personal library of Abenaki poet Joseph Bruchac whose literary archive is also in the library’s collections. 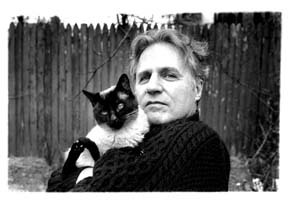 The Yale Collection of American Literature has acquired the archive of poet and photographer Gerard Malanga, author of numerous books of poetry including No Respect: New & Selected Poems 1964 – 2000, Mythologies Of The Heart, Incarnations: Poems 1965-1971, Ten Years After: The Selected Benedetta Poems. Malanga frequently collaborated with Andy Warhol, with whom he published Screen Tests, a book documenting their series of individual 3-minute “Screen Tests.” His photographs have been collected in volumes including Good Girls and Resistance to Memory and he is well known for his portraits of literary figures, musicians, and artists. The archive, documenting Malanga’s literary and artistic careers from the 1970s to the present, includes a rich collection of manuscript drafts of Malanga’s work; vintage prints of photographs of poets, writers, artists, and their associates taken over more than three decades; correspondence from Ted Berrigan, Ron Padgett, MeiMei Berssenbrugge, Andre Codrescue, Robert Creeley, Charles Henri Ford, Bill Knott, Jackson MacLow, and Aram Saroyan, among many others. This collection will be available for research in the near future; contact Nancy Kuhl for information: nancy.kuhl@yale.edu.